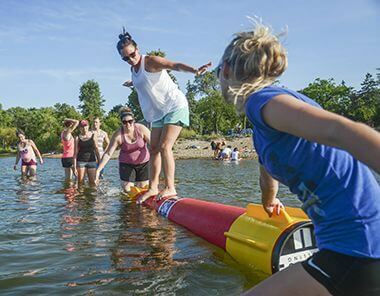 Log rolling is a sport with strong historical roots in the Midwest, but is new and unique to many. 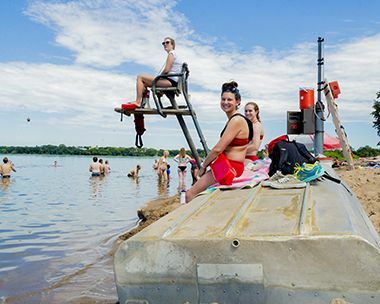 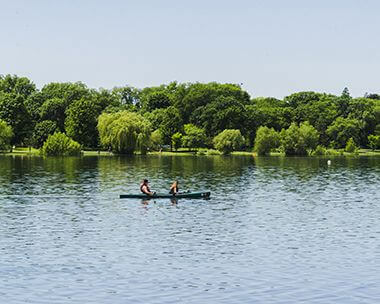 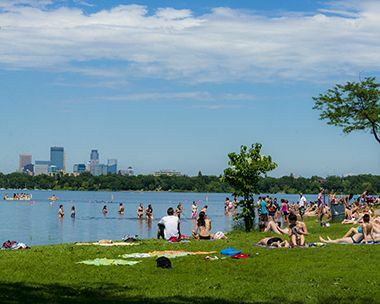 Sessions are also offered at Lake Nokomis Main Beach. 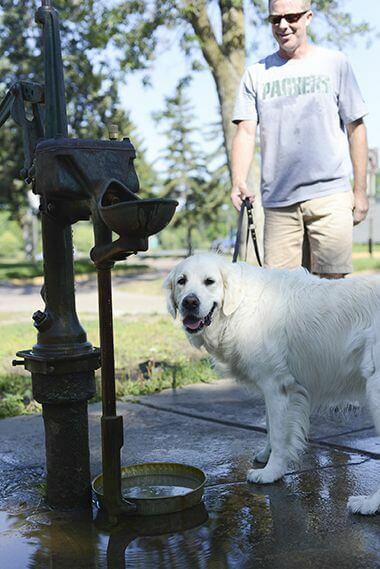 Cool off your pet on the Bde Maka Ska trails. 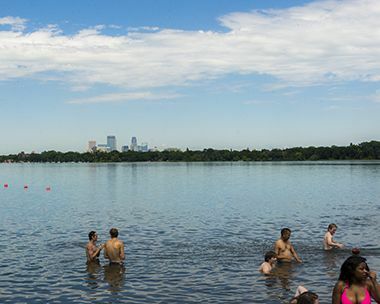 Thomas Beach is one of 3 beaches Bde Maka Ska has to offer, and one of twelve beaches in the Minneapolis park system. 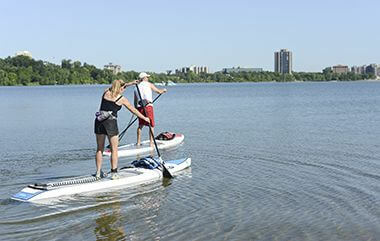 Experience the lake in a unique way atop a paddleboard.